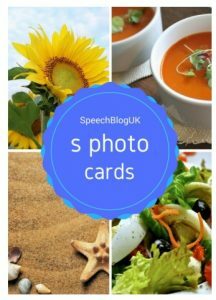 We have just published a set of 90 photo picture cards for the ‘s’ sound. We also have packs for the ‘c/k’ and ‘f’ sounds as well. ‘s’ is another sound that we work on frequently. This pack comes as a pdf download. Add it to you shopping cart, check out and pay, and then you will be sent a link via email to download the pdf file. You will then need to print this yourself and laminate if required. 6 pages with ‘s’ at the beginning of words. This starts with simple words such as sea and sew and extends through CVC words to 2 and 3 syllable words. 4 pages with ‘s’ in the middle of words. Again this is a range of 2, 3 and 4 syllable words. 5 pages with ‘s’ at the ends of words. These are divided into VC, CVC and 2, 3 and 4 syllable words. This picture shows one page with 6 of the images from the pack so you can see the quality. As you can see from the sample, each picture also has the word written underneath. If you are a speech and language therapist, I’m sure you can see the use of these cards. If you are a teacher, TA or parent, only buy these cards if your child is struggling with the ‘s’ sound. You can find out about the stages of therapy here. Your child will be ready to use the cards when they are working at the word level or above. 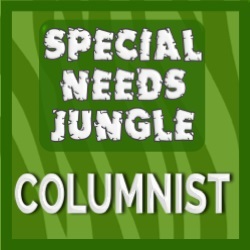 It is normally recommended to start with ‘s’ at the beginning of words, however some child find ‘s’ at the ends of words easier. Some words in the pack will be easier than others. 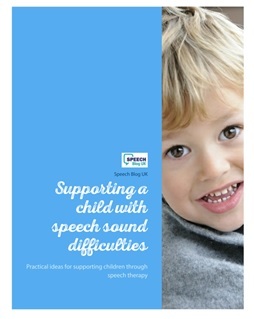 Please follow the advice of your speech and language therapist. 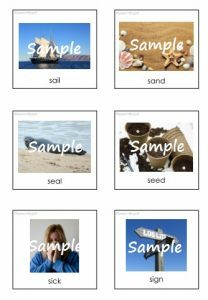 For ideas of games to play with these cards to keep therapy fun and interesting, check out this post and this one where we have listed lots of ideas of games to play to practise sounds. You can buy this pack of picture cards for £4.